Mucci Farms is committed to being an employer of choice that attracts and retains the best individuals. If you are looking for an exciting opportunity in a growing company, please submit your cover letter and resume for consideration. Full-Time, 5-days a week; and some additional hours which may include Saturdays, depending on workload and priorities. Maintain employee orientation documentation in both English and Spanish. Conduct new hire orientation and onboarding sessions for incoming workers, (both English and Spanish) completing I-9’s, W4’s and all required documentation ensuring all documentation is present such as work permits, ID’s, and work contracts, etc. Issue employee photo ID and scan cards. Manage the enrollment for bank accounts, and Social Security cards. Enter employee information into ADP. Assist with payroll duties including adjustment of timesheets and absence codes in accordance with company policy, will be primary backup for payroll. Support employees in accessing ADP (employee’s access). Ensure the compliance of OSHA requirements, and basic safety awareness throughout the facility. Help with Workers Compensation claims, transporting migrant workers to medical clinics as the interpreter. Interact and support migrant workers’ housing requirements. Conduct yearly open enrollment and benefits reviews. Assist with some recruitment duties (i.e. screening of resumes, telephone interviews, in-person interviews, reference checks, and orientation) as needed. Guide supervisors regarding the employee discipline process when requested by the HR Manager. Maintain employee files and the HR filing system. Participate in the organization and execution of employee relations initiatives. Assist in the coordination of social activities or events and, employee recognition programs. Support the day-to-day efficient operation of the HR office. Keep well-informed and educated with Human Resource practices and legal requirements. Be able to follow directions, is a team player, and maintains a professional/confidential demeanor. Associate Degree or equivalent experience in Human Resources. 3-5 years of experience in one or more of the following areas: employee relations, compensation administration, employee benefits, and recruitment. Knowledge of all HR related legislative requirements. Ability to work under pressure, to multi-task and to reprioritize tasks on a daily basis. Experience with Microsoft Office and Microsoft Outlook. Excellent documentation, communication, computer and time management skills. Must be able to walk distances daily. Must be able to deal with challenging employees and/or situations. Job Requirements: The incumbent will be committed to customer service excellence and leading by example. A positive attitude in the workplace is required as is the ability to adhere to all human resources, operational and food and health safety policies or procedures. Note: This description is only a summary of the typical functions of the job, not an exhaustive or comprehensive list of all possible job responsibilities, tasks, and duties. Responsibilities, tasks, and duties of the jobholder might differ from those outlined and other duties may be assigned. Full-Time, permanent, 5-days a week; and some additional hours which may include Saturdays, depending on workload and priorities. Ability to communicate effectively (written, oral and spoken) in English. Mucci Farms welcomes and encourages applications with disabilities to apply. Accommodations are available on request for candidates taking part in all aspects of the selection process. If you require a specific accommodation due to a disability or documented medical need, please contact the Human Resource Department so that arrangements can be made for the appropriate accommodation. 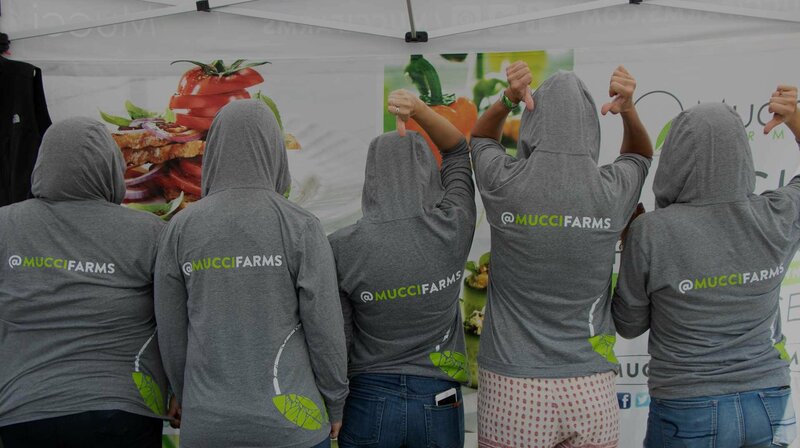 Mucci Farms is achieving a culture and work environment that is supportive of employees with disabilities and promotes dignity, independence, integration, and equal opportunity. Thank-you to all candidates for applying and showing interest in Mucci Farms Ltd. Please note that with such a high volume of applicants, we will only be responding to the ones we will be moving forward with. Physical Abilities: Must be able to sit and stand for extended periods of time. Running, pulling, terminating and splicing copper and fiber optic cables (CAT5, CAT6, coax, low voltage cables, 25 pair, 50 pair and fiber). Mount telecommunication equipment, routers, switches etc. all while following industry standards, best practices and manufacturer requirements. Assist in setting up hubs, routers and switches using information provided by appropriate engineers/contacts/senior technicians. Document network by labeling cables, and recording as built diagrams and specifications. This includes Fluke testing of installations. Resolving concerns, provide updates, answer questions or escalate to senior employees for resolution if required. Will be required to work with Maintenance for support and equipment detail. Basic Function: The bookkeeper position creates financial transactions and creates financial reports from that information. The creation of financial transactions includes posting information to accounting journals or accounting software from such source documents as invoices to customers, cash receipts, and supplier invoices. The bookkeeper also reconciles accounts to ensure their accuracy. Mucci Farms welcomes and encourages applications with disabilities to apply. Accommodations are available on request for candidates taking part in all aspects of the selection process. If you require a specific accommodation due to a disability or documented medical need, please contact the Human Resource Department so that arrangements can be made for you. Coordinate shift scheduling and staff balancing to meet production and work-life balance needs. Anticipate orders based on regular orders/customers and help employees become familiar with day to day operations and needs. Develop corrective actions to events needing improvement when opportunities exist. Has input into company policy and procedures, ensures consistency of process and follows-up to ensure they are sustained. Prepare job descriptions and complete 90-Day and annual performance reviews. Work closely with the human resources department in order to ensure all staffing needs are met; and to ensure all training and development activities, including disciplinary action up to and including termination, are conducted in a fair and timely manner. Communication skills requirement: Ability to communicate effectively (written, oral and spoken) in English; additional languages (i.e. Spanish, will be considered an asset). Computer skills requirement: Experience with Microsoft Office programs including Outlook, and the ability to learn operational programs for our business known as FAMOUS and RedLine Cooler. Should be able to prepare presentations, develop spread sheets and write proposals. General skills requirement: Solid background with proven success in leadership, communication, human relations, financial management and project management etc. Physical Abilities: Must be physically fit and able to lift heavy material (up to 50 lbs.). Must be able to climb stairs and stand for extended periods of time. As our facilities are temperature controlled to approximately 55°F or 13°C, must be able to work in that environment. Job Requirements: The incumbent will be committed to customer service excellence and leading by example. A positive attitude in the workplace is required as is the ability to adhere to all human resources, operational and food and health safety policies and procedures. Drives tractor-trailer combination or straight truck, applying knowledge of commercial driving regulations, to transport and deliver products, or materials. Maneuvers truck and trailer into loading or unloading position, following signals from loading crew as needed. Inspects truck before, during and after trips and submits report indicating truck condition; for safety and to minimize security risks. Fastens chain or binders to secure load on trailer during transit. Notifies Fleet Manager of any need for maintenance service on the truck with oil, fuel, and radiator fluid to maintain tractor-trailer (and outline on daily inspection sheet). Obtains customer's signature as required. Insures loads are secured to trailer wall using bars. Comfortable dealing with U.S. and Canadian Customs officials. Follows C-TPAT policies and procedures on behalf of the company. Ability to provide a police clearance and pass initial and ongoing drug testing. Ability to cross into the U.S.
Posses a valid driver’s license (AZ). Mechanical abilities in order to help troubleshoot minor mechanical issues. Ability to communicate any issues in a timely and efficient manner. Ability to operated a fork lift. Ability to have appropriate behavior on behalf of the company when dealing with U.S. and Canadian customs officials. Able to climb stairs and stand on feet for an extended period of time. Work in a temperature controlled environment of approximately 13 ˚C / 55 ˚F. The following are general guidelines designed to provide the Industrial Cleaner with the fundamental understanding of their responsibilities and how to fulfill them. Orientation and training will be provided. Clean offices: sweep, mop floors, vacuum carpet, wipe desks and cabinets, dust fixtures as required. Clean all mirrors and office windows including door windows. Wash and disinfect all washroom floors, counters, faucets, door and stall handles, toilets and fixtures. Also all hand wash basins throughout the facility. Replenish paper towel dispenser toilet paper, soap and disinfectant dispensers throughout facility. Empty all wastepaper baskets in offices and warehouse. Clean and disinfect drinking fountains throughout the facility. Clean and disinfect points of contact (door knobs, door plates, faucets, dispensing handles, phone receivers, and desktops). Sweep cafeteria and eating area floors and wipe down tables and chairs. Report supply shortages to supervisor. Maintain cleaning log using prescribed format. Note: this description is only a summary of the typical functions of the job, not an exhaustive or comprehensive list of all possible job responsibilities, task, and duties. Responsibilities, tasks, and duties of the jobholder might differ from those outlined and other duties may be assigned. We are looking for an experienced Quality Trainer to devise our organizational training strategy, oversee its implementation and assess its outcomes. You will identify Quality training and developmental needs and drive suitable training initiatives to help drive the Quality team to excellence. Quality Trainer will work across many departments to get employees up to speed in both the quality standards and the overall quality needs of Mucci Farms. The Quality Trainer should have Agriculture and Quality Assurance background, development and education. The Quality Trainer responsibilities include enhancing employees’ quality skills, performance, productivity and quality of work. Mucci Farms is looking for a shunt driver. Bus drivers must safely guide their buses in all traffic and weather conditions. Responsible for inspecting buses before the start of a shift, obeying traffic laws, adhering to schedules despite conditions and ensuring that passengers arrive safely to their destination..
Communicates daily with the sales, procurement and production on all issues related to fresh produce. Make recommendations on quality issues. Ensure compliance with all Standard Operating Procedures pertaining to receiving, storage, and shipping of fresh produce. Identify any issues to senior management. Examine contents and compare with records, such as manifests, invoices, or orders, to verify accuracy of incoming or outgoing shipment. Record shipment data, such as weight, charges, space availability, and damages and discrepancies, for reporting, accounting, and record keeping purposes. Ensure FIFO stock rotation within our facility and coolers. Take photos and prepare quality reports for other departments. Safe driver as a fork lift operator and conduct daily equipment inspections. Previous experience with vegetables or comparable environment is preferred. Related experience in logistics will be considered an asset; however training will be provided to the successful candidate. Ability to conduct basic mathematical calculations. Experience with Microsoft Office programs including Microsoft Outlook. Knowledge of Famous and RedLine Cooler programs (for inventory management) will be considered an asset. Must be able to work independently or within a team setting. Positive attitude, punctual and willing to grow within the company. Work in a temperature controlled environment of approximately 13°C / 55°F. Make daily corrections to the Labour Registrations; create Maps and Graphs to make sure the corrections are done accurately. Communicate effectively to employees about any errors found in the Registrations and follow up on re-occurring issues to discipline employees. Create weekly reports for the Labour Supervisors to identify the areas that need improvement and analyze the possible solutions. Prepare accurately and timely bi-weekly hours report for Payroll purposes containing Bonuses in dollar amount and Percentages per Department. Create and display/post the Employees’ Performances in a weekly basis. Collect and record accurately all the data related with the Farm’s Production. Utilize the Priva System (FS Performance) to the best of the abilities to ensure quality and performances of the Crop Activities are maximized. Help in the resolution of any personnel related issues. College diploma/certificate in Business Administration preferred. 1-2 years experience in an Administration environment. Ability to communicate effectively (written, oral and spoken) in English; additional languages (i.e. Spanish, will be considered an asset). Familiarity with Priva computer software will be considered an asset. Proficient knowledge and experience with Microsoft Office (Word, Excel & Outlook). Transport Mucci migrant workers to the bank and other appointments as needed. Pick up and drop off Mucci employees at various locations. Grade, sort and package produce (cucumbers, tomatoes, peppers and egg plant) per customer specifications. Load and remove completed or defective products or materials, placing them on moving equipment such as conveyors or in specified areas. Agriculture experience considered a major asset. No experience and/or education required. Repair and diagnose farm equipment, company vehicles, transport trucks and trailers. Perform routine maintenance such as changing oil, lubricating, air and fuel filters. Replacement of any defective parts. Maintain all required records and files for vehicle maintenance. Work in a temperature controlled environment of approximately 13 ËšC / 55 ËšF. Loads and unloads materials to and from designated storage areas, or vehicles. Stacks or piles materials, pallets, etc. Bundles and bands with material banding machines. Sorts and stores items according to specifications. Attaches identifying tags or marks information on containers. Ensures/maintains a clean work area, using brooms, rags, and cleaning compounds. Installs protective devices, such as bracing, padding or strapping, to prevent shifting or damage to items being transported. Record any maintenance required for equipment for safety and to mimize risks. Follows work orders or receives and listens to oral instructions to determine work assignment. Completes daily fork lift inspection for safety and to minimize risks. Follows established safety regulations; appropriate use of signals (horns), proper use of seatbelts, scanning guns and other equipment as required.